The basic construction building but a vital link in the chain. 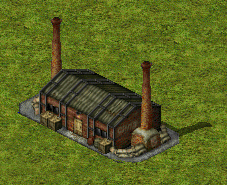 The humble power plant, used to power your communication & factories. If you don’t have enough of them you’ll be firing in the dark with little support. The center of your economy & drop off point for the three types of resources in D-day. 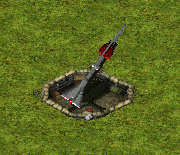 If the Construction Yard is the brain of your base this would be the heart. 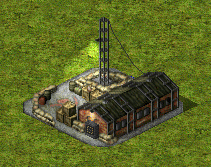 Gives you access to only light units at first, it requires other buildings to produce heavier equipment. The communication hub of your base, it provides you with a mini map & medium units. 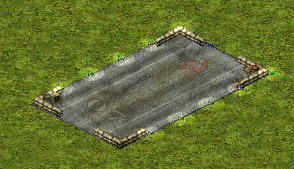 It may look simple but this patch of concrete will house some of your most powerful units. 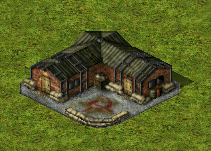 The political center of your base which provides extra recruits for your infantry divisions & propaganda to boost your troops, also gives you access to specialist units. 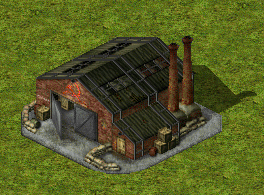 The OKB research centres are home to the soviets top scientists, with them on your side you have access to the most powerful units in the soviet arsenal. 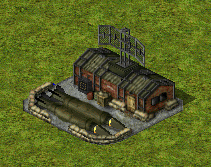 Army & Airforce upgrades for the OKB that give you various offensive Super Weapons such as artillery & airstrikes. 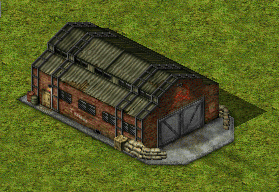 A specialist building only available post-war, it gives you the ability to build SAM sites & SRBM equipped units. Those look absolutely incredible. I'd hate to imagine just how much effort and painstaking went into creating those. Thought I'd have that here to save time. Yeah... they definately look crafted with care. Just dont go remaking 'em. are u going to post defence here to? Edited by FallenDwarf, 11 February 2009 - 11:56 PM. They're ammo boxes, oil drums & scrap metal. They all do the same thing (give you more money) just some more (oil drums) then others (scrap metal), ammo boxes are the most common type tho. 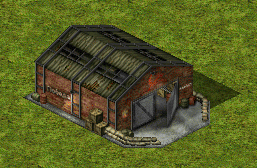 Scrap metal is a special type that is spawned from destroyed units, I have yet to fully implement that system tho so there might be some changes depending on how the coding goes. 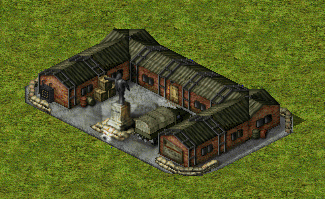 I've added three defensive buildings, more to come later in the week. 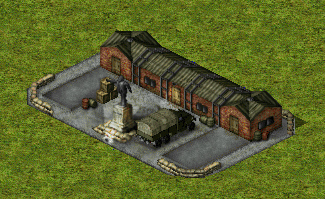 Oh BTW I forgot to point out that these buildings are using the standard unittem pal. once I have made all of them I'll make a custom pal that will make them look a lot more smoother etc. None yet, just sticking to the basic stuff for now until more is done. There not that hard to do, there isn't much need for many tho as there isn't any moving parts on most buildings. I am planing to make some internal flashing light anims to the conyard/factory for when they build something tho.